Nike’s basketball footwear brand Air Jordan has partnered with Nintendo to release a limited edition Super Nintendo trainer range. 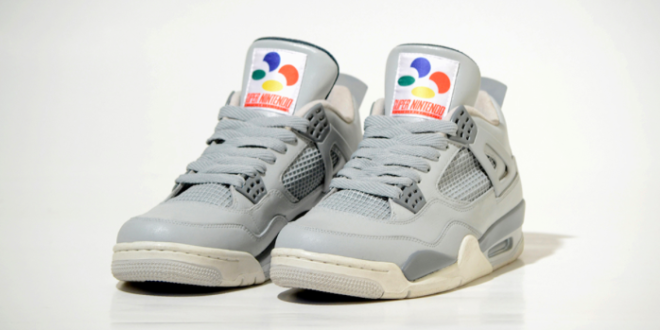 Created by Freaker Sneaks, the Air Jordan 4 Super Nintendo Customs combine the design features of the Japanese and European model of the Super Nintendo with a pair of Jordan 4s. The all grey design even features real controller buttons and d-pad from the videogame console that launched back in the mid 80s. Sources suggest that only ten pairs of the highly limited edition trainers have been produced to date, with no fixed price tag.